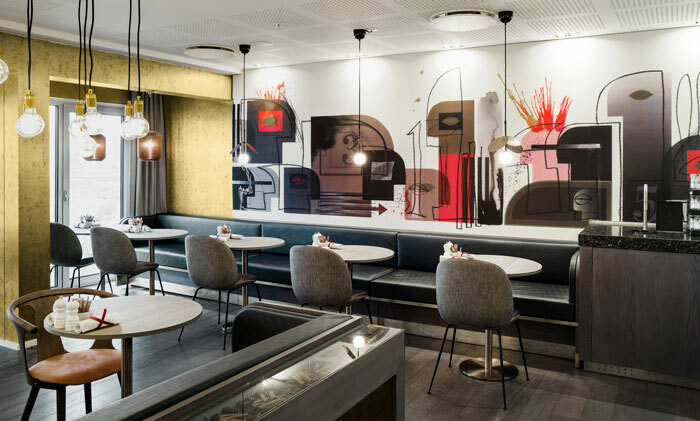 Tivoli’s design team has developed the illustration to be printed on acoustic panels in the entrance of the breakfast restaurant at the Tivoli Hotel of Arp Hansen Group. “Jeg har arbejdet sammen med Marie-Louise, Studio MLR, ifm. hotelprojektet, hvor jeg var projektleder. Marie Louise var meget professionel og grundig i hele processen – både før, under og efter projektet. Med hendes store viden om æstetik og materialer var hun en særlig god sparringspartner. 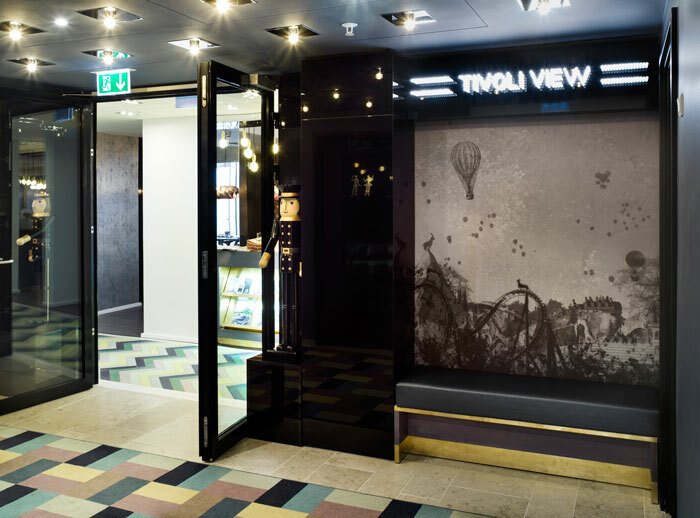 Thomas Winkler from the Tivoli Design team has created the more than 5 meters long artwork for this wall in the restaurant. The illustration has been printed on acoustic panel.